To date, I have torqued all of the driver's side bolts except for the A-arm pivots which need to be done with the car on the ground. In the picture, I have cleaned the bearings in preparation for grease, and have them slid on the spindle for test fit. 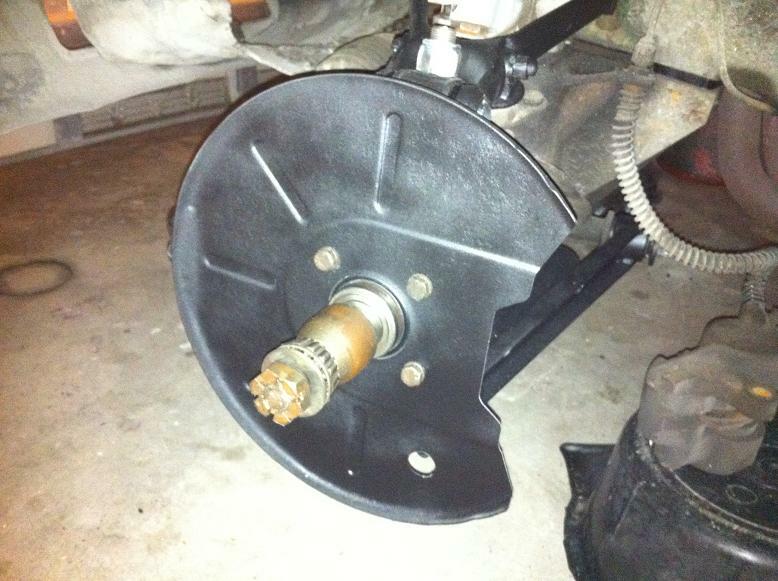 Tomorrow I will be packing the bearings, installing the new grease seal and mounting the hub assembly back on the car. I will also be greasing all zerk fittings and installing the brake caliper. I will be making the caliper, hub and rotor pretty when I buy new rotors and rebuild the calipers.